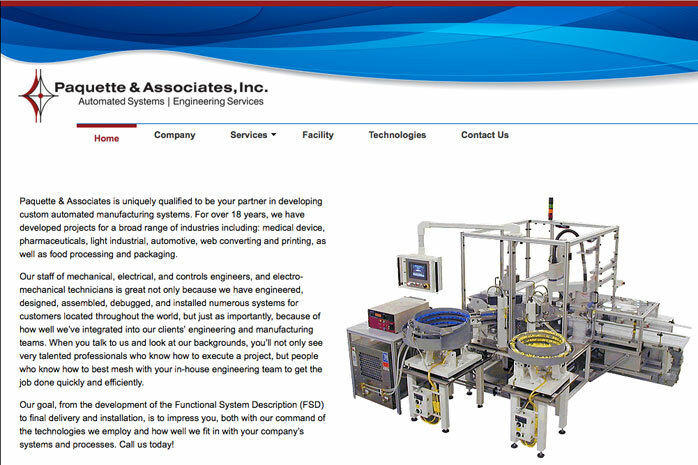 For Paquette & Associates, their existing site needed a completely new and updated look. Their old site did not show the full range of their capabilities to their full advantage. The new site features an animated display of a sequence of project shots right on their Home page, giving a sense of the broad range of their capabilities and depth of expertise.